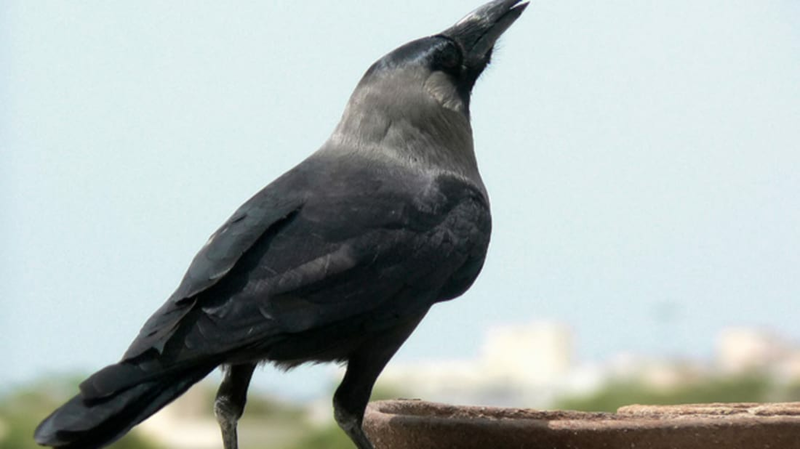 We’ve written before about how crows are thrifty, vengeful bird-geniuses. One study published in the journal Animal Behavior shows they also may be masters of self-control. Researchers tested the delayed-gratification capacities of seven crows and five ravens by first offering them morsels of food. The scientists then closed their feeding hands while presenting a different piece of food in the other hand. If the birds could wait out delays ranging from a few seconds to 10 minutes, the scientists then would open their empty hands so the crows could return the food in exchange for a better reward. In a second experiment, researchers would offer the animals increasing portions of food at fixed intervals. They were free to take the food at any time, but if they did that meant the treats would stop flowing. The studies showed that the birds were willing to exercise self-control when a tastier treat was on the line, but not for more of the same thing. Crows who had already had a piece of bread stuck around for pieces of sausage or fried pork fat, but if it was more bread that was being offered it wasn’t worth the effort. A similar study was conducted at Stanford in 1972—the major difference being the subjects were children instead of crows. Researchers offered two marshmallows to more than 600 children between the ages of four and five. The one condition was that the children would be left in a room alone with the first marshmallow for 15 minutes, and in order to get the second they had to wait to eat it. Only a third of the subjects were able to wait the full 15 minutes, and a fraction of them devoured the marshmallow as soon as they were left alone. A follow-up study showed that the kids who waited got higher SAT scores later in life. Humans, it seems, could learn a thing or two from crows, especially when they're thinking about ordering that second appetizer.